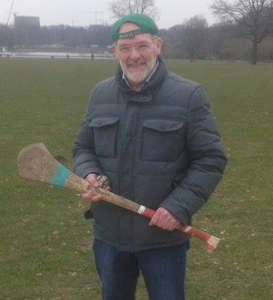 Hamburg GAA is proud to announce Micheál Ó Muireagáin as the club’s Irish Cultural & Language Officer! 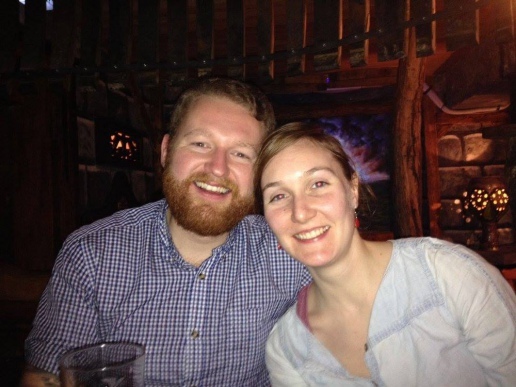 Micheál, a fluent Irish-speaker, hails from Co. Antrim and works as a language trainer in Germany and will be helping us in all areas of Irish language and culture, from informal Irish lessons to larger cultural events. We are delighted and privileged to welcome such a friendly and hard-working individual to the club! We are delighted to announce the appointment of Jacquie and Aidan O’Hanlon as Presidents of Hamburg GAA! Jacquie and Aidan, the owners of our sponsor The Irish Rover, have been there since the beginning of our club and have been critical in our progress. All of us here at Hamburg GAA wish to extend to them huge thanks for all their support and encouragement! 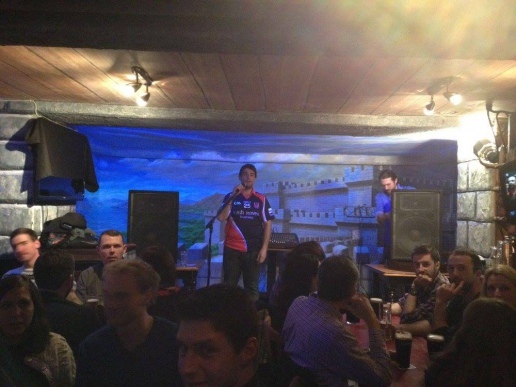 On Saturday, 16th January Hamburg GAA’s inaugural New Year’s Party was hosted by our wonderful sponsor The Irish Rover, Hamburg. Over 50 supporters, fans and members came along to contribute to a brilliant event, which included a food buffet, a highly entertaining pub quiz, an awards ceremony, and live music by the one and only Aidan O’Driscoll. We also unveiled our brand new jersey, presenting a replica to each of our sponsors – The Irish Rover and MAAS Aviation. Huge thanks to both for their continued support. 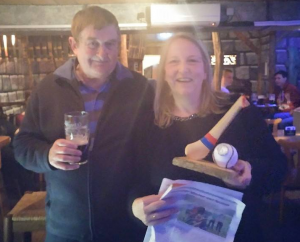 The palpable sense of community and craic had on the night shows that Hamburg GAA is not just about sporting endeavours, but is building an inclusive social community in Hamburg, where all are welcome. A sincere thanks to everyone who came, especially the new faces, who are helping to build this new community in Hamburg – your continued support is greatly appreciated! Ein dickes Dankeschön an alle, die so rege teilgenommen und dadurch zu diesem erfolgreichen und unterhaltsamen Abend wesentlich beigetragen haben! Die Hamburg GAA-Community wächst und zeigt, dass es bei unserem neuen Verein nicht nur um sportliche Leistung geht, sondern auch um menschliches Miteinander, Integration und den guten alten Spaß am Leben! Photos from the night with all our players, members and fans can be viewed on Facebook here. We will be hosting further Social Events throughout the year, and as the GAA league starts soon in Ireland we will be watching the games at The Irish Rover and hope you will join us – further information on fixtures and dates to follow. 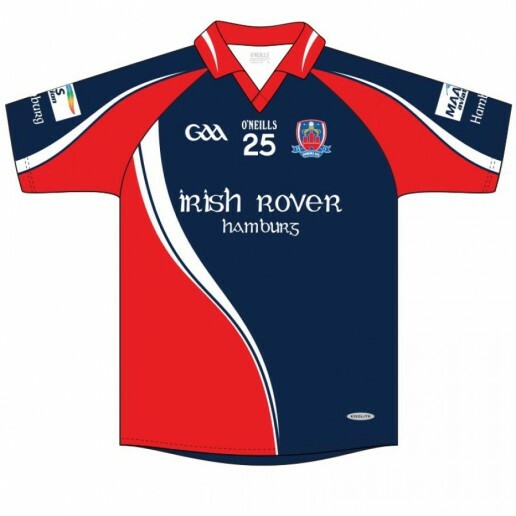 Hamburg GAA’s inaugural New Years Get-Together & Quiz – Saturday 16th January, from 6pm at The Irish Rover! 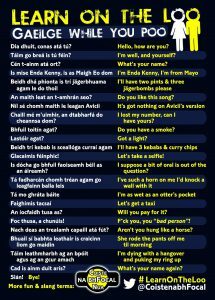 On 16th January from 6pm we will host our first ever New Years Get-Together at our Sponsor bar The Irish Rover, where we will have a quiz based on the happenings and events of 2015 followed by a party and live music from the brilliant Irish musician Aidan O’Driscoll! There will be great quiz prizes on the night as well as our official launch of our brand new Jersey! 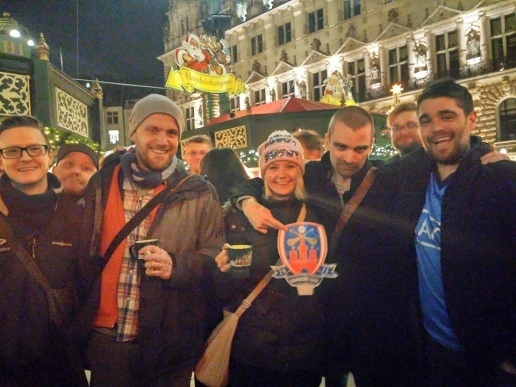 On Thursday 3rd December we will all go together to drink a few Glühwein at the Rathaus Weihnachtsmarkt. We would be delighted if you would join us – family, friends, colleagues, all are welcome. We will meet after work at 18:00 at the main entrance to the Rathaus, which is right beside the Market. Any problems finding us or if you arrive after the meeting time, just call/text on 017630769473. We hope to see you all there! More info about the Markets can be found here. Hamburg GAA was delighted to attend their first ever ECB Annual Convention this weekend in Leuven, Belgium. We would like to give a huge thanks to all at the European County Board (GAA) and all delegates from the European Clubs who attended the Convention. The opportunity to take part and contribute to the work of the ECB as well as the chance to pick up tips and advice from all delegates was greatly appreciated. At the Convention it was agreed among the German GAA Clubs that a German Federation would be established. Thus the Deutscher Bund Gälischer Sportarten (DBGS) is now in the making and will be up and running soon. 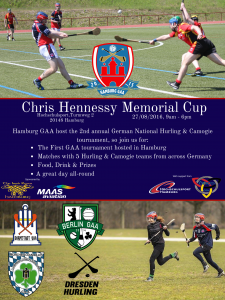 Hamburg GAA are delighted to be contributing to this new organisation and playing an active role in further developing the Gaelic Games in Germany.